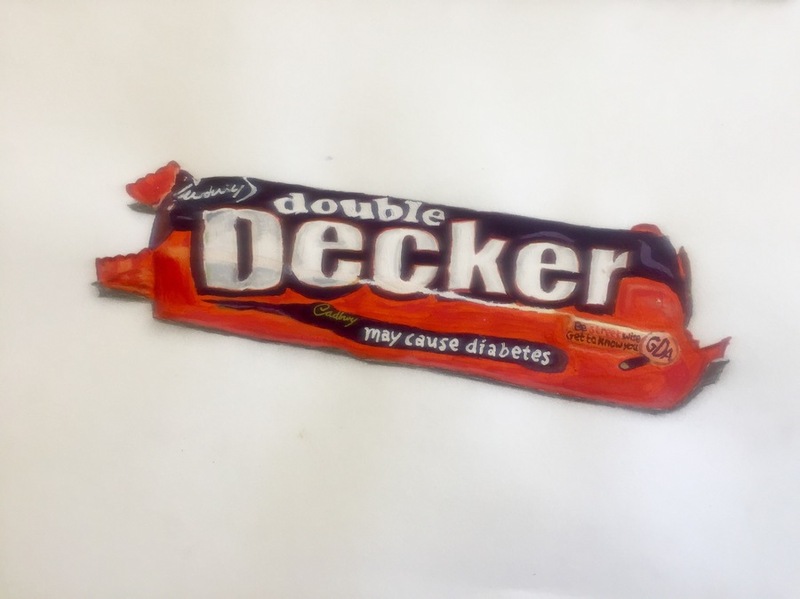 Acrylic painting of a double decker chocolate bar. A couple details included. Took around 4 hours to paint.